Some photos of the banner installation for the Julian Schnabel show at UMMA. This experimental paper was edited and designed by Benjamin Critton and has been floating around for a while now. It was first released in 2010 and reprinted a second time in 2013 (QTY 1000) by Draw Down Books. Apparently, it has great distribution and is incredibly well-liked because it shows up regularly in my RSS and Tumblr feeds. My copy is from the second run (I’m often late to parties like this). It profiles (as its name points out) a handful of “Evil People in Modernist Homes in Popular Films.” Among the written contributions is a piece by Joseph Rosa, the Director of the University of Michigan Museum of Art (UMMA), where I’m currently employed as graphic designer. Joe and I work together on a day-to-day basis. This isn’t the first time I’ve stumbled across his writings out in the world. In 2010 I visited an exhibition called Hyperlinks at the Art Institute of Chicago. 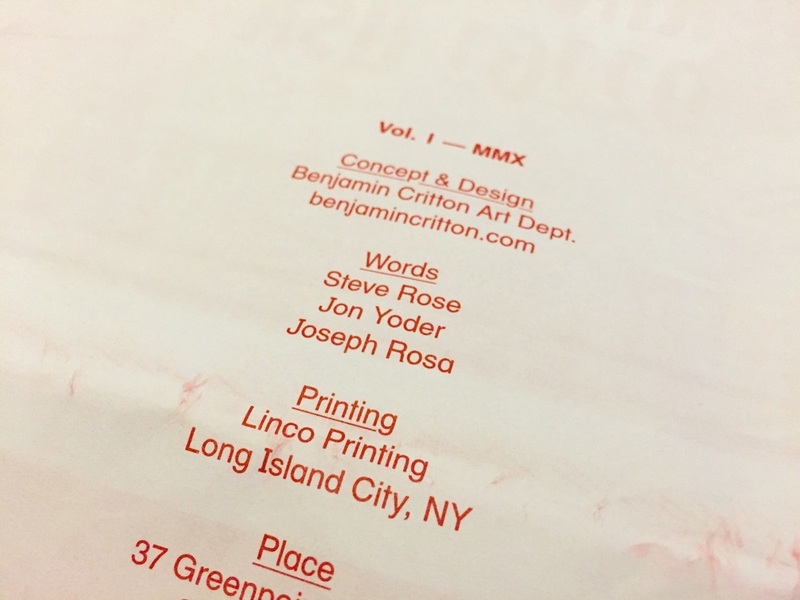 The catalog included a written piece by Joe, which is actually when I realized he co-curated the show. Later, he popped-up on the screen with a few sound bites in a Netflix documentary about architectural photographer Julius Shulman. So, today when I saw his name in this paper I wasn’t totally surprised. He’s a brilliant guy so it’s good to see his work out and about.